Well, I attended a self-care training for work a few months ago and the facilitator introduced me to the concept of "mindfulness". I was accustomed to being grateful, faithful, and thankful but mindful? Not so much. Sure I knew what it meant to be mindful on a very basic level but not as a daily practice to support my overall health and well-being. "Mindfulness means maintaining a moment-by-moment awareness of our thoughts, feelings, bodily sensations, and surrounding environment. 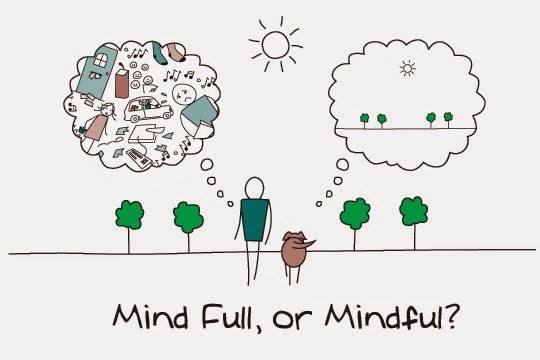 Mindfulness also involves acceptance, meaning that we pay attention to our thoughts and feelings without judging them—without believing, for instance, that there’s a “right” or “wrong” way to think or feel in a given moment. When we practice mindfulness, our thoughts tune into what we’re sensing in the present moment rather than rehashing the past or imagining the future. Though it has its roots in Buddhist meditation, the practice of mindfulness has entered the American mainstream in recent years." So, I encourage you to add mindfulness to your daily routine. It will not only help you clear your mind but it was also fortify your spirit.